As a marketing professional, you’re probably familiar with a brand standards and guidelines document—formalizing logo usage, color palettes, accepted fonts, and other visual guidelines to ensure your brand’s integrity. It’s a smart tool. But remarkably few companies have taken the time to get employees on the same page regarding how they describe product and service offerings, technical details and more. Inconsistency ultimately results in wasted time and confusion, both internally and externally. 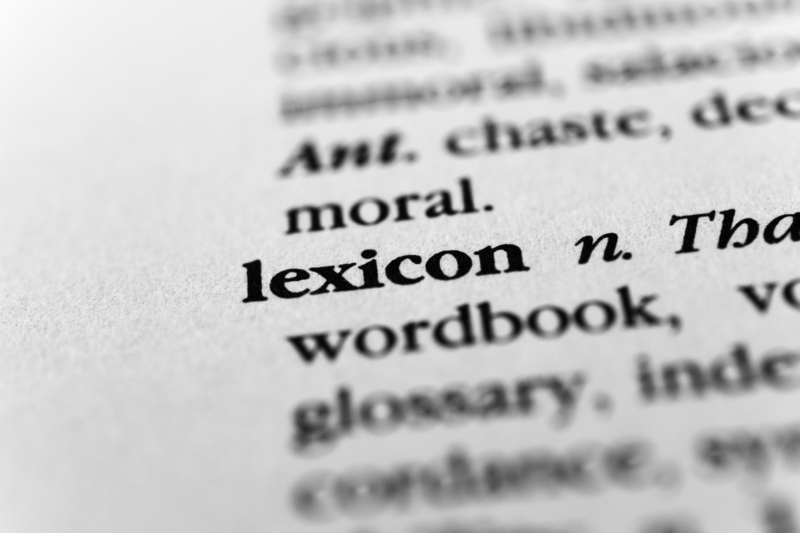 A lexicon is a comprehensive list of common vocabulary terms within a language or used by a specific group of people. For companies, creating a lexicon ensures vocabulary is standardized across all legal, sales and marketing materials. This creates uniformity that’s important for branding and streamlines efficiencies among your marketing team by keeping everyone on the same page, eliminating confusion and minimizing revisions and disputes. When dealing with multiple clients, it’s important to know the exact lingo and preferences of each one. This is especially true for products or services that use technical terminology, such as those within the healthcare, technology, electrical and manufacturing industries. Having a lexicon readily available for your team gives them a quick go-to reference when writing and proofing materials. At MZ, we create lexicons for our various clients, streamlining our content creation process and making sure we get it right the first time. By dividing each lexicon into categories, we make it as efficient as possible to find exactly what you’re looking for. Here’s part of a lexicon we created for Generac, a manufacturer of industrial, commercial and residential power systems. Part of your Lexicon should include tradenames, trademarks, servicemarks and registered trademarks. It’s important to protect your IP and do so consistently. Some companies specify use of the ™ or ® in the first or most prominent position on the page, dropping the mark thereafter in copy or captions. Documents can start to look a bit out of control when such marks are present in every sentence. Other companies demand ™ or ® be used whenever referring to the protected name or phrase. It’s not necessarily black and white, but it pays to be consistent—you’re protecting your space in the marketplace. A Lexicon is never a one-and-done proposition. Tradenames and brands are added, others disappear, and consistent communications issues are ever present. So remember to update your lexicon frequently, as new products and services are added, and to share it with all team members, including sales, customer service, engineering and other departments. When everyone communicates consistently, you just made it easier for your customers to do business with you.